From the University of Dayton, where he played just a single season, Ernie White first came to Canada in 1958 to play in the old ORFU (Ontario Rugby Football League). 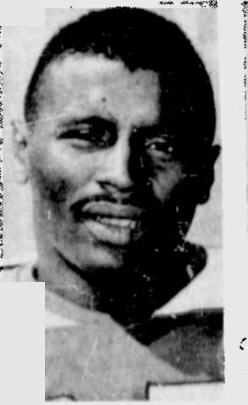 White played two seasons for Sarnia (1958-59) and started the 1960 season with the London Lords, also of the ORFU, before being "called up" to the Hamilton Tiger-Cats. White did not see the ball much in his four games with Hamilton in 1960, with only three carries for 13 yards, but he walso used on kickoff and punt returns. In 1961, White moved to Ottawa where he would go on to play for seasons for the Rough Ridres (1961-64). In 9 games in 1961, White had 271 yards rushing on only 30 carries for a very impressive 9.0 yard average. White really broke out in 1962 for his best season when he rushed for 804 yards and caught 31 jpasses for another 758 yards.. White also had 10 touchdowns and all of this in only a 14 game schedule in which he won East All-Star honors at offensive halfback. 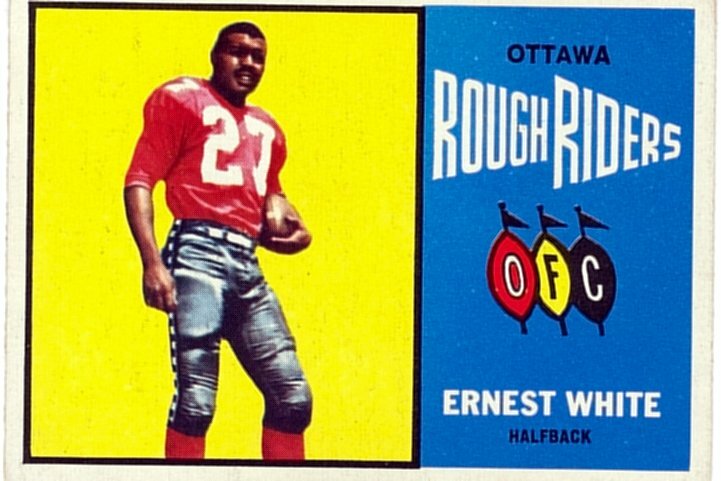 White's production continued to slip in 1964 and the Rough Riders released him in October. . White finished his CFL career in 1965, playing five games for the Montreal Alouettes.